Images can be an excellent addition to your website as a part of your SEO and online marketing strategies. There are a number of reasons why images can prove to be useful for you. Of course, you should not use images just for the sake of using them. They should be useful and relevant to the content or the webpage. Images can be extremely helpful in increasing the engagement rates for your blogs and your social media channels. They can make you readers engaged in a manner that is impossible through text alone. By adding images on your social media profiles, you can increase followership and engagement rates by a significant amount. You will be able to garner a huge number of shares and comments if you post an image. A good image will certainly impress visitors to your website or blog. It can even attract new readers and visitors. Images get more attention than text right from the start. If you manage to attach an excellent headline to the image, you will be able to increase the readership significantly. People tend to be automatically drawn to great images. SEO is important for your website. That is why you need to ensure that you use the best optimization techniques to improve your rankings. 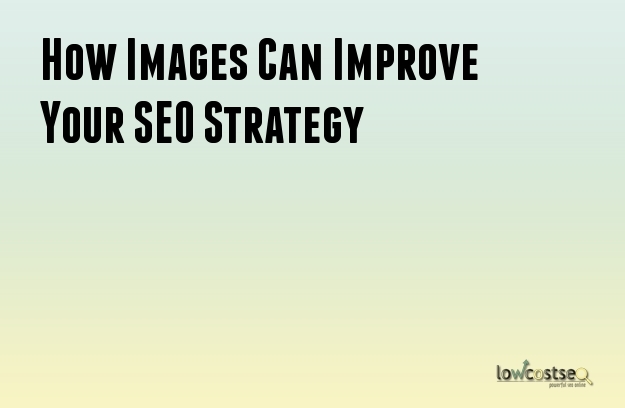 Images can be used to improve the SEO of your website as they are recognized by Google. Your images can show up in the search results of Google. This is one of the major reasons why images are necessary. However, in order to get all the benefits, you need to ensure that the images have been properly optimized. Images can be displayed on social media channels whenever your webpages are shared. This increases the chances of attracting traffic to your website. However, you may find that no images are being displayed with the links when you post them on social media networks such as Facebook. Such scenarios can be easily avoided. You simply need to ensure that the images are optimized for Facebook and the other social media networks. In this way, whenever your webpages are shared, the correct image will be displayed with the link. Due to the attraction potential of images, they can be used to increase the conversion rates and even sales. You just need to add the best images of your products or service. At the same time, they should also be able to impress the visitors and create an emotional tug towards the products. In this way, you can increase the sales. Images can be extremely effective at increasing the reach of your website and social media profiles. Apart from garnering a lot of attention from visitors and readers, the images encourage them to share and comment. Through the increase in shares, you can reach wider readerships and consumer bases. The effectiveness and usability of images should not be underestimated. They can be quite powerful for the SEO, conversions and sales of your website.